Participation in trade fairs is part of the company’s activity if it wants to stay up to date with the latest events and novelties in the industry. 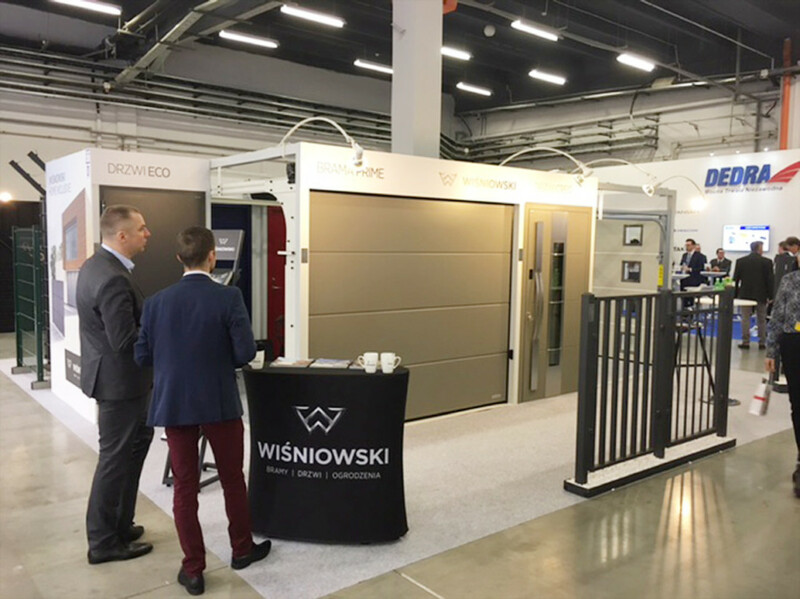 This is why WIŚNIOWSKI presented its offering during the 15th edition of the PSB Group Fair held on 8-9 March 2017 in Kielce. The fair organised by the Polskie Składy Budowlane Group has already become a regular event in the calendar of the largest Polish construction companies. It is organised specifically for the partners of the PSB network. The Polskie Składy Budowlane Group Fair is an event with an established position in the Polish construction industry and it is not without reason that it is called the barometer of springtime in construction by PSB’s shareholders and partners, as the contracts concluded during the fair quite accurately forecast the situation of the Polish construction industry in the coming months. As an industry leader, WIŚNIOWSKI attended the event, as the fair is a great opportunity to present its products. Those exhibited at the fair stand included the proven collections of residential fences, fence panels, the Deco, Deco Basic, and fire-rated seamless doors, as well as the UniPro Nano80 and PRIME sectional doors and the Novum and Progress up and over doors. Attractive special offers were prepared for the visitors. Those interested could take advantage of additional discounts on WIŚNIOWSKI’s products, the possibility of order completion in the maximum of 3 instalments or special prices for the purchase of display stands and advertising materials. Participation in significant trade fairs is a form of promoting the company and emphasising its position in the market in the given industry, but also a great way to gain new customers and maintain business contacts.